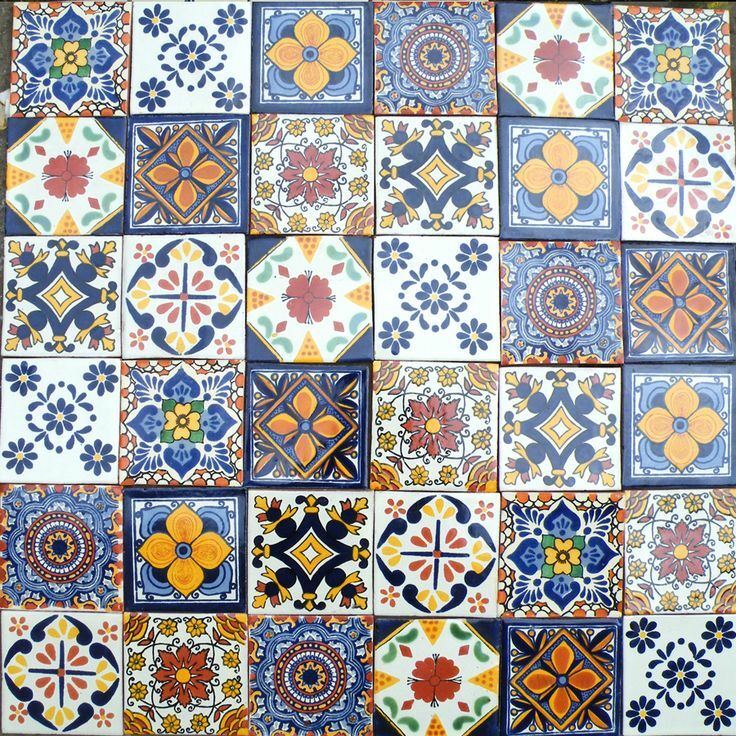 Spring is finally here in Edinburgh and, happily, so is our latest shipment of tiles from Mexico. 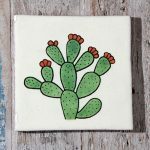 We are now fully stocked with our beautiful range of handmade tiles, including several new designs. When we say “hand made” we actually mean hand and foot made… The clay is mixed in a gigantic bath, the artisans using both their hands and feet to get a good mix. The clay is then rolled out, hand cut and left to dry in the sun. This takes several days, longer in the rainy season. The tiles have an off white blanco background glaze applied, before the different designs are added using a screen. 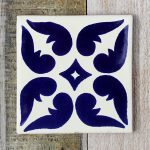 Many of the tile designs owe their origins to the Spanish/Moorish influences of the conquistadors, but over time the Mexican culture has stamped (or screen printed!) it’s own unique style into the range. 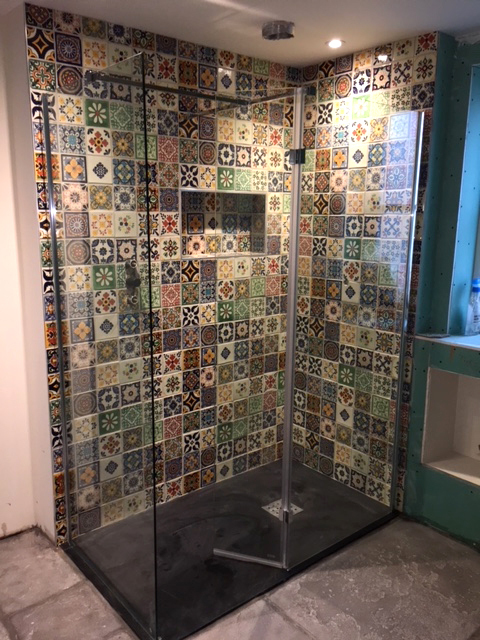 A good quality grout is best used when applying Caoba’s Mexican tiles to walls (Mapei or Ardex for example) and the bear in mind that you’ll need to take a slightly different approach to your DIY; the tiler needs to work with the unevenness, not aspire to factory-made uniformity. 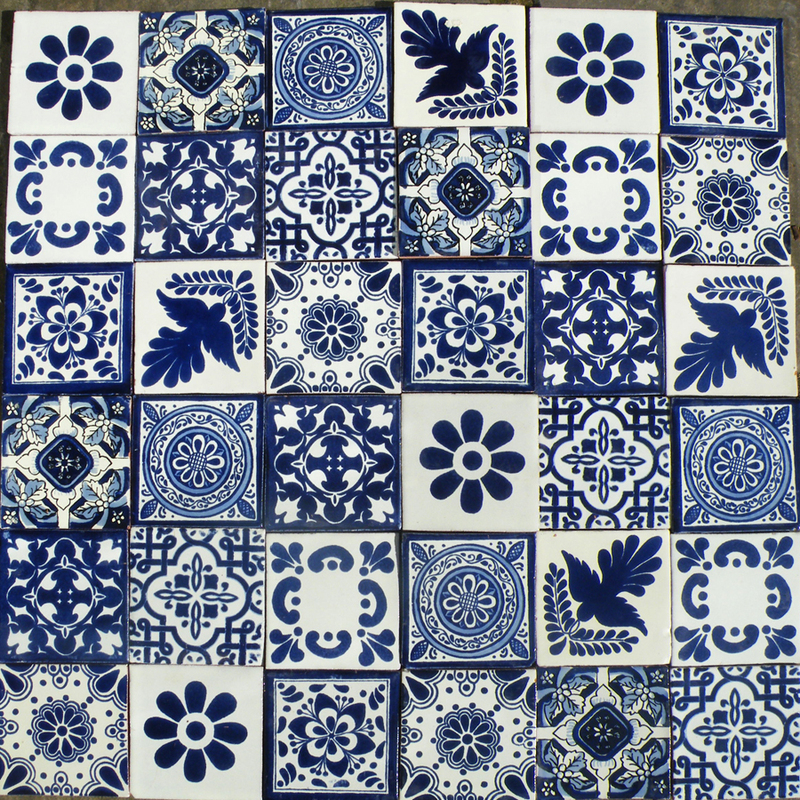 This entry was posted in Mexican Ceramics, Mexican Tiles, Useful Info on March 28, 2017 by admin. 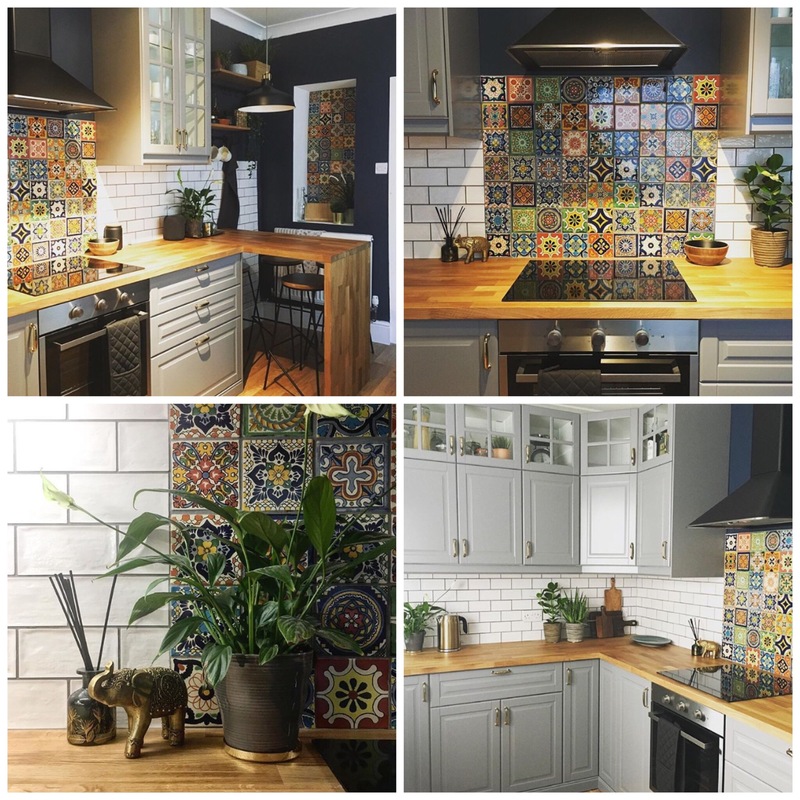 With more than 70 different designs in our Mexican terracotta tile range the choice can seem a little overwhelming. We should know, it took us 2 years to decide on the look for our kitchen at Caoba Towers. So it seemed logical to put our experience to good use to create some unique tile sets, using patterns that we know work well when combined together. 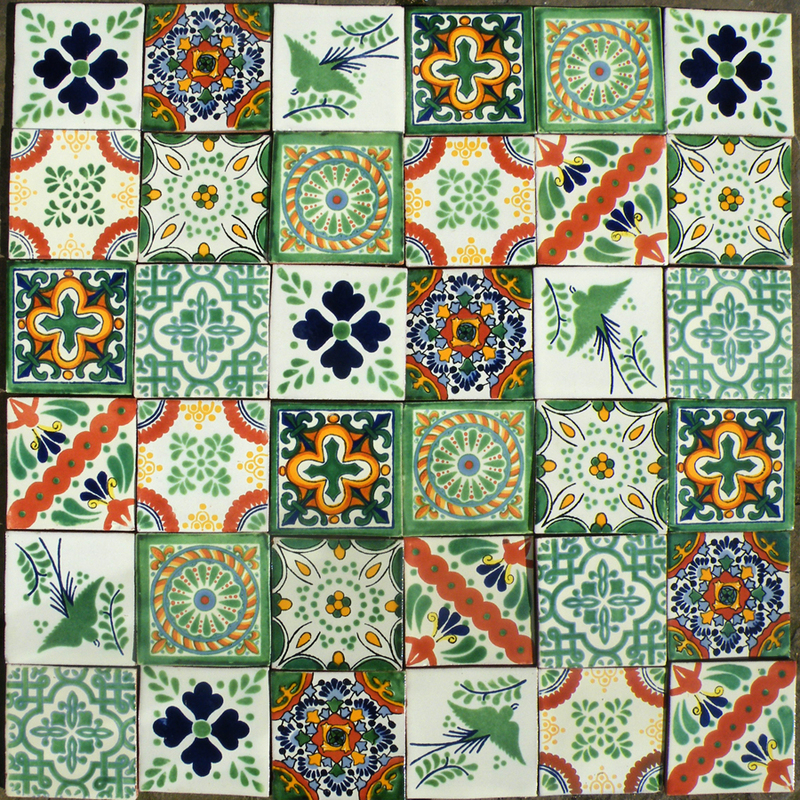 Each panel contains 36 10½cm x 10½cm tiles, comprising 4 each of 9 designs and measures approximately 63cm x 63cm when laid out as a square. We say ‘approximately’ because our tiles are made by hand, creating slight variations and quirks within each item. But we don’t want to take all the fun out of choosing your own style, so why not use one or more of these sets as a jumping-off point for your own design; lay the tiles out as a border, mix up together with a few of our plain colour tiles, dot in some mini tiles or stick to the plan and use a set as a panel for a stunning kitchen splash back. 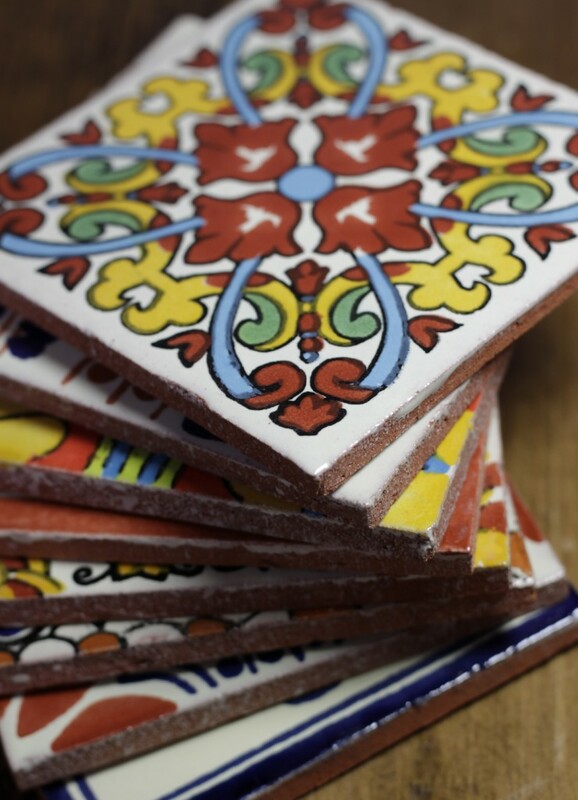 Check out our Facebook page and Pinterest boards for some more terracotta tile ideas with a Mexican twist. 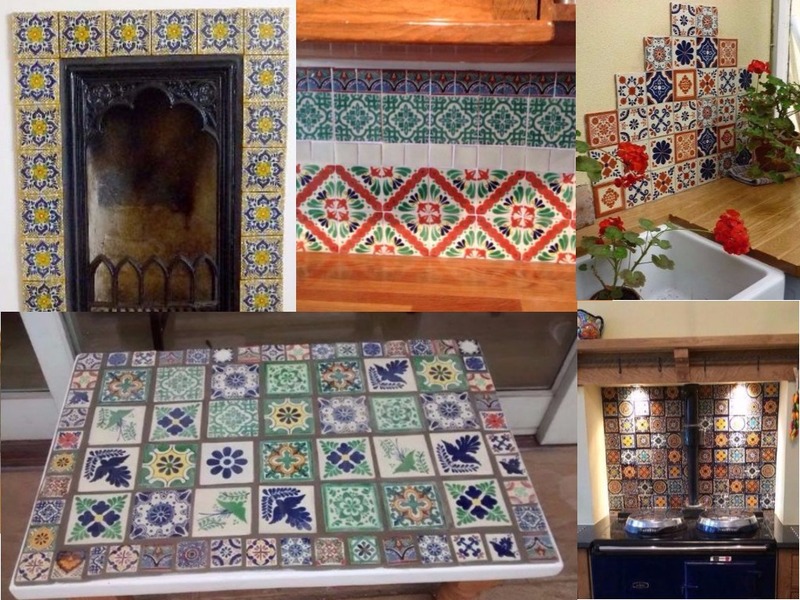 This entry was posted in Mexican Ceramics, Mexican Tiles on August 15, 2014 by admin. 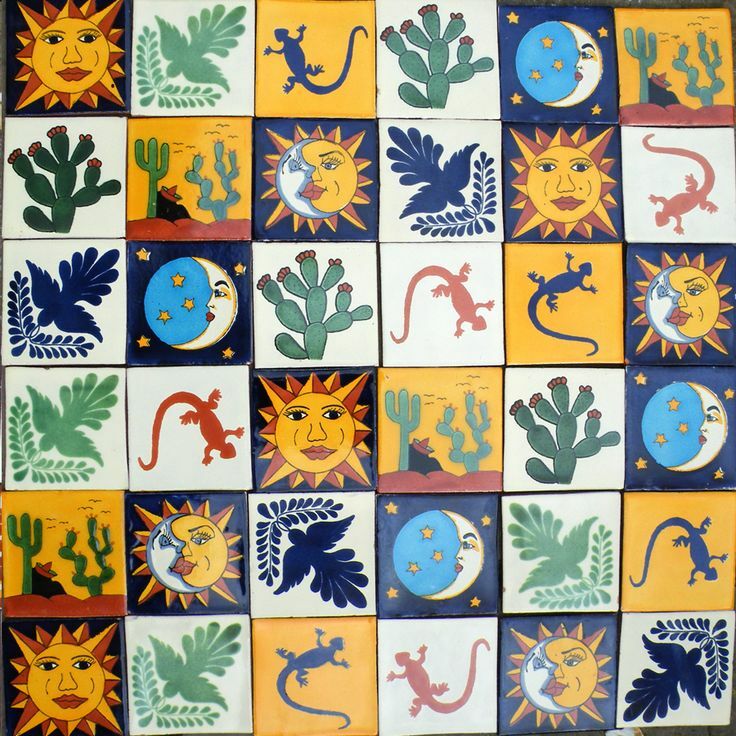 The Mexican tile is a marvelous design element. Physically, it’s durable, fire resistant and non toxic. It does not fade or peel and survive heat, cold and damp. They easily create a visual impact and at a reasonable cost. A single tile may be used as a decorative coaster or to accent a wall or bathrooms can be covered in tiles. 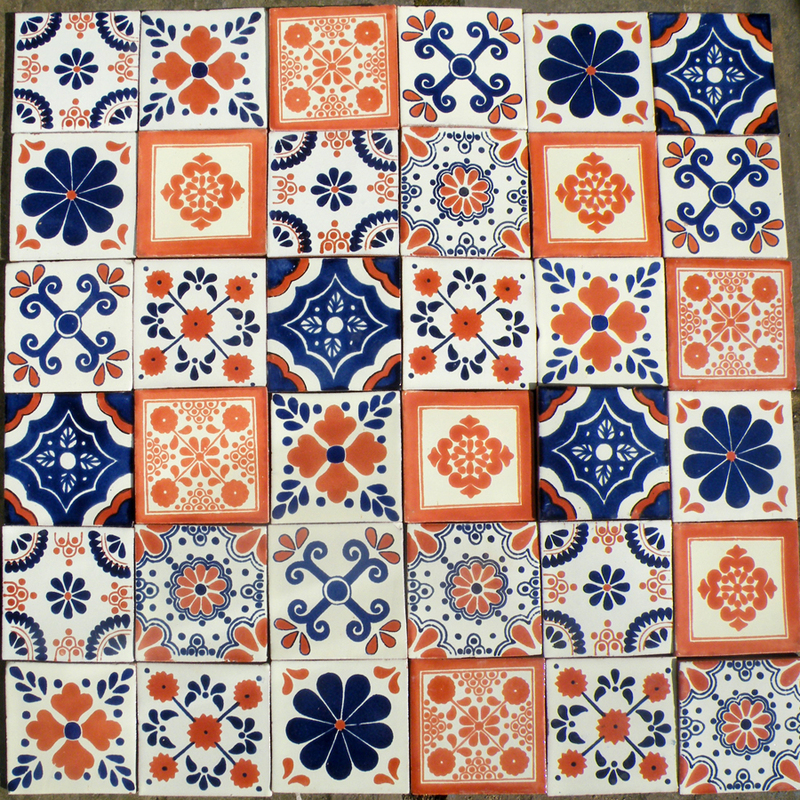 Mexican tiles offer an array of design options for both home and garden. Size: 10.5×10.5cmsThere may be slight variations in the size and colour. 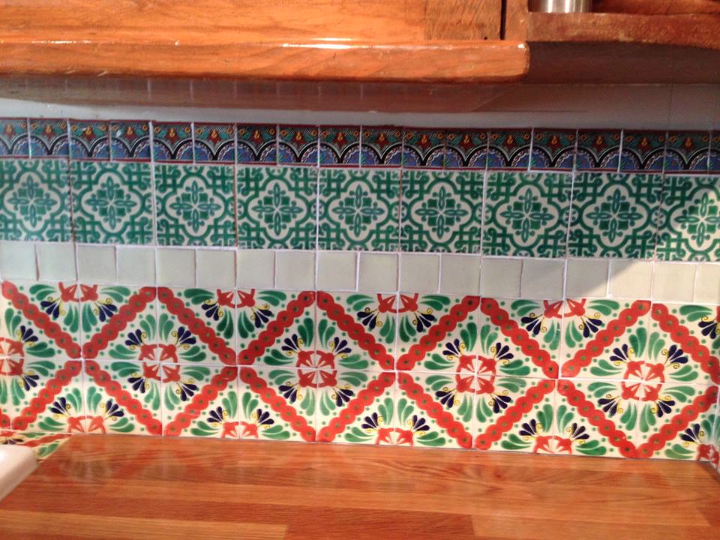 This entry was posted in Mexican Tiles and tagged mexican tiles on January 25, 2013 by admin.